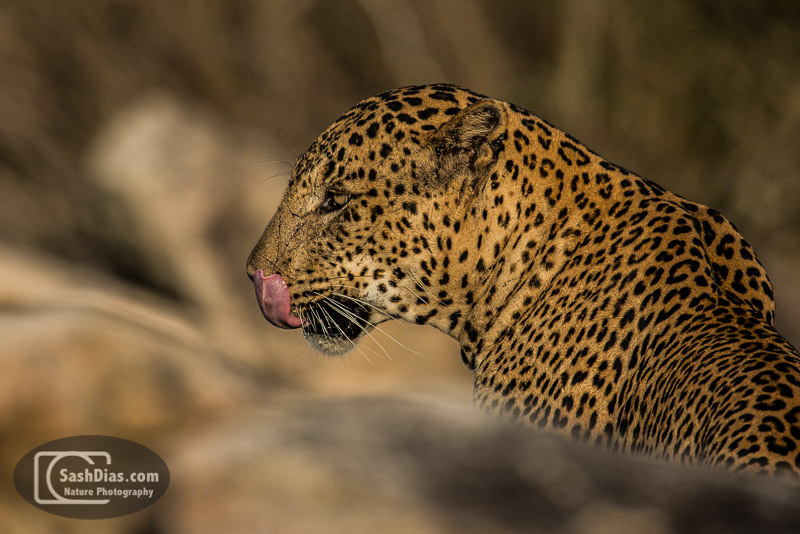 Soon after our leopard encounter on our very first game drive in Yala National Park (Sri Lanka) in 2012, we heard that a bear had been sighted close to where we were. We lost no time in getting there, but it turned out about twenty other safari parties had the same idea! It was feeding in a tree, and we got some shots of it feeding, climbing down from the tree and walking around too. As this was one of the species I was hoping to get good pictures of, needless to say I was pretty happy! 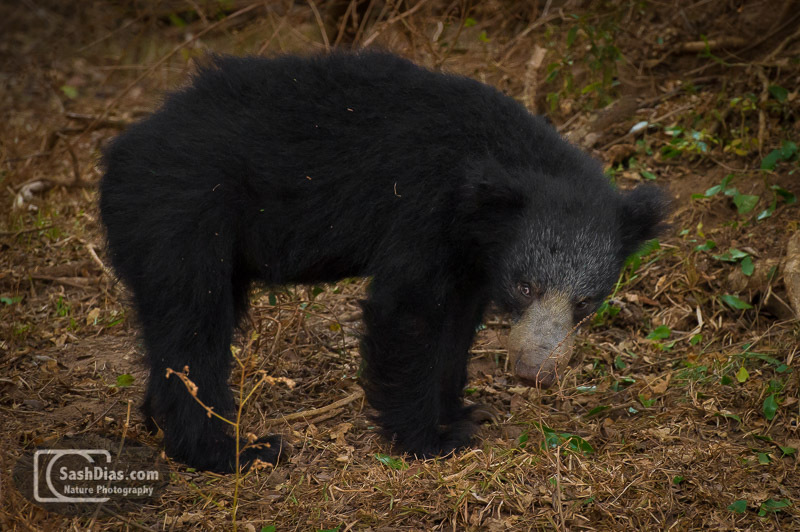 Sloth bears are a medium sized species of bears, with adults weighing between 120-400 pounds and standing 2-3 feet at the shoulder. Their large claws as specially adapted for digging out termites, which along with honey bee colonies and fruits form most of their diet. 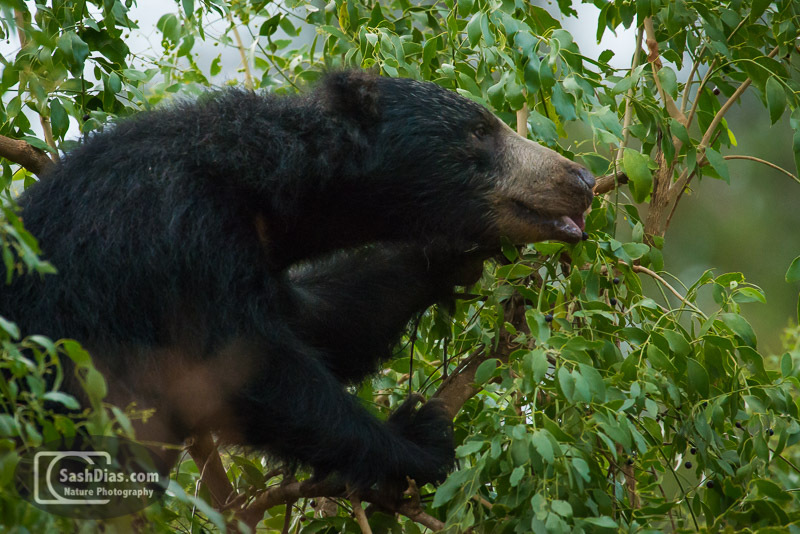 Though they don't look like it, Sloth Bears are very aggressive animals and have even been known to face down Tigers in India!